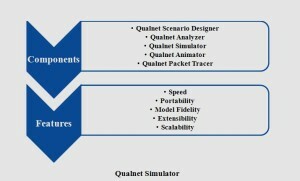 Qualnet Simulation Projects is one of the simulation tools which are a comprehensive tool with all components for network model and simulation projects. 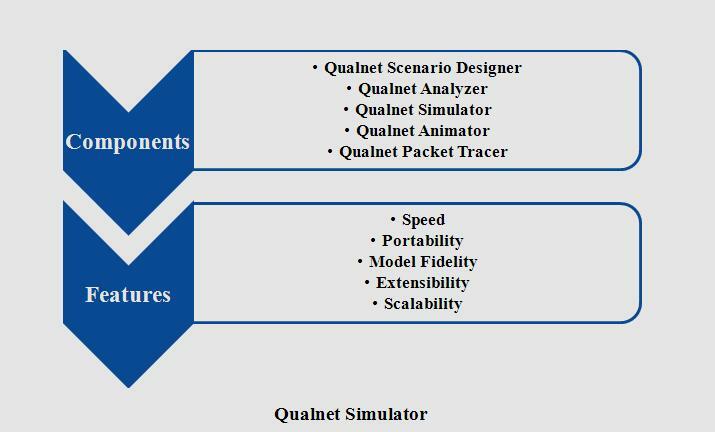 We implement qualnet simulation projects for B.Tech to understand behavior and network performance such as to improve design, create and animate network scenarios, operation and management. We offer Qualnet simulation academic projects with large library for wired, WAN, satellite, Mobile ad hoc network as VOIP, telnet, HTTP and FTP. 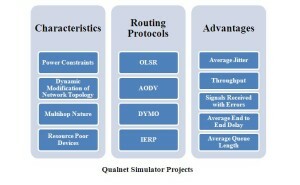 We developed more than 100+ Qualnet projects which run on various platforms and simulate various wireless applications. Heterogeneous networks and distributed applications are executed by this simulation. It act as setup tool which permit user to set physical connection, protocols, geographical distribution, traffic and function parameter by intuitive click and operation dragging. A graphical animator tool to visualize output and allow user to monitor traffic flow, when simulation in process. It composed of customized graph to display simulation statistics, multi experiment report, Spread sheet export. Packet level tool to view packet content when it moves up and down in network stack. Composed of various platforms such as windows, Linux and MAC OS, and architectures. Real time speed is enhanced for software in loop, network emulation and hardware in loop model. It connects to other hardware and software such as OTB, real network which hence network model in high range. High standard description model are provided for the protocol implementation. Advanced hardware and parallel computing techniques are provided for nodes. We implement WSN which is a multifunction sensor node to monitor and calculate environment condition such as sound, vibration, temperature, lighting, humidity are measured. It used to provide multihop routing and node function such as Relay data, immediate neighbors through network. 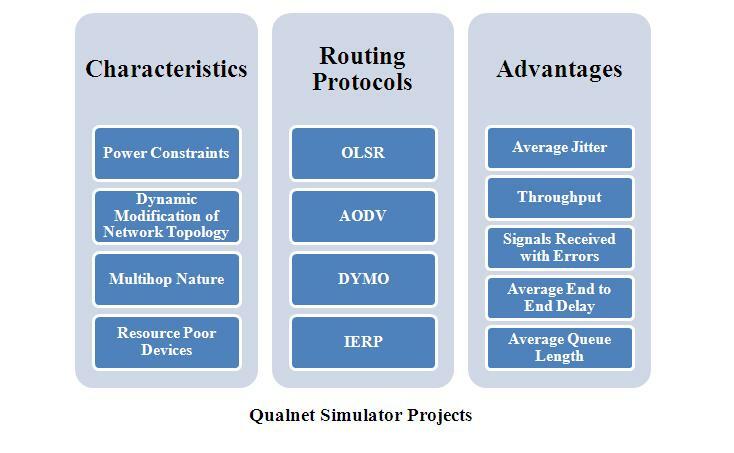 We support various routing protocols are AODV, OLSR, IERP and DYMO to access mobility model and change node by qualnet 5.2 simulator.